ISLAMABAD: The Ministry of Information Technology has no idea about the status of the cyber crime bill. This much was conceded by its Secretary, Azmat Ali Ranjha on Thursday. 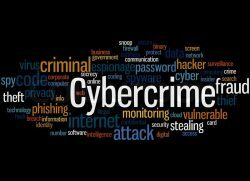 The IT Secretary was responding to a question from the chair of the National Assembly Standing Committee on Information Technology and Telecommunications, Maj Tahir Iqbal, who had asked about the status of the Prevention of Electronic Crime (PEC) Bill 2015. “The ministry completed the process of consultation with stakeholders, prepared the bill and submitted it to the parliament, whose property it is now. The Parliament forwarded it to the Standing Committee. Right now we do not know where we stand,” said Secretary IT, Azmat Ali Ranjha. In the previous meeting in May, the Standing Committee had tasked Special Assistant to the Prime Minister on Parliamentary Affairs, Barrister Zafarullah Khan, to get input from stakeholders on the cyber crime law for the committee. “It has been nearly three months and we have not received any views or recommendations. We have held meetings with representatives from the telecom sector and tried to address their concerns. In more than one television programme, I have asked the civil society to present their recommendations but they have not come forward,” Barrister Zafarullah Khan told Dawn. However, representatives of NGOs that are working on the issue explain that they were waiting to sit down with the subcommittee formed to discuss the law with the stakeholders. “This is the right way forward rather than just handing over a document,” said an NGO’s representative. But the invitation the NGOs were waiting for never came. “That invitation never came. Merely extending an invitation during a talk show is not enough. Our recommendations are ready. A meeting with the committee members will give us the chance to explain our point of view and the amendments we recommend. If we simply hand over a document, the government will pick and choose according to its preferences which will defeat the effort we made to agitate against the bill’s draconian measures,” said Farieha Aziz of a local NGO, Bolo Bhi. Critics of the new cyber crime bill – industry and civil society – have been arguing that in its present form it gives unbridled powers to investigation authorities and curbs civil liberties. One of their main criticisms against the bill is that it criminalises texting and emailing without the consent of the receiver. Stakeholders have held press briefings, protested on the streets and threatened to petition the court if the bill is passed in its present state. They also point out that the bill was reduced from a 44 pages document to 13 pages, omitting their suggestions to safeguard human rights. 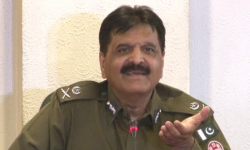 During the hour-long meeting on Thursday, the mention of the word ‘stakeholders’ by Maj Tahir Iqbal, ignited yet another clash between Minister of State for IT, Anusha Rehman, and PPP MNA Shazia Marri. Anusha Rehman corrected the chair of the committee that ‘stakeholders’ in the context of this bill were the IT industry and the state and not the NGOs. However, Shazia Marri pounced on the minister’s words and pointed out that the NGOs were also stakeholders. The minister, nonetheless, stuck to her stance that bill had been aligned with the National Action Plan and was made after consultation with security agencies. “Changes can be made after consultation with the National Counterterrorism Authority (NACTA), the Inter-Services Intelligence (ISI), the Intelligence Bureau (IB) and the Federal Investigation Agency (FIA),” said Anusha Rehman. As a result, Maj Tahir Iqbal formed a sub committee, which he will head. The other members will be: Shazia Marri, Ali Raza Abidi, Awais Leghari, and Farhana Qamar. “The law is already too late. Let’s finalise it next week in the national interest,” said Maj Tahir Iqbal. For the rest of the proceedings, the committee focused on Section 9 of the cyber crime bill that addressed the issue of hate speech. Like last time, Shazia Marri and MQM’s Ali Raza Abidi objected to the definitions used in and the language of the section. “Section 9 does not differentiate between the accused and the convicted, which is dangerous,” said Shazia Marri.